Environmental Chemistry provides you with a solid education in the four key areas of chemistry – analytical, inorganic, organic, and physical chemistry – along with core courses in environmental chemistry and other fields, including biology and earth and environmental science. Learn how the environment works, how to analyze parts per trillion of environmental contaminants, and how to monitor environmental impacts in the Environmental Chemistry program on UBC’s Okanagan campus. Choose to complete an honours degree or major in Environmental Chemistry, then use your Bachelor of Science as a stepping stone to medical, dental, or veterinary degrees. The Irving K. Barber School of Arts and Sciences supports student research through the Undergraduate Research Awards, which allow students to carry out their own projects over the summer months, and other awards, which provide opportunities to work with professors on their research. You can also join the Environmental Chemistry Course Union to build friendships, get academic support, and gain increased access to career resources. In addition to having an active social schedule, the course union brings in speakers from industry and government to advise students on career opportunities. Stoichiometry, atomic and molecular structure, chemical periodicity, gases, liquids, solids, and solutions. Not open to students with Chemistry 12. Principles of equilibrium and chemical thermodynamics. Introductory organic chemistry: stereochemistry; substitution, elimination, and oxidation-reduction reactions. This course or CHEM 113 is prerequisite to all subsequent courses in Chemistry. Derivatives of elementary functions, limits. Covers applications and modelling: graphing and optimization. First of a pair of courses that introduce students to the biological concepts necessary to continue into second-year biology. Covers evolutionary theory and its underlying genetic basis, basic cell biology, plant and animal nutrition, and energy acquisition. Credit will be granted for only BIOL 116/125 or BIOL 117/122. Principles of chemical kinetics, reaction mechanisms, and chemical thermodynamics. Structure, bonding, and physical properties of aliphatic and aromatic compounds; conformational analysis, stereochemistry, and NMR spectroscopy; substitution and elimination reactions of alkyl halides; ethers, epoxides, aldehydes, ketones. Credit will not be granted for only one of CHEM 203 or CHEM 213. Statistical analysis and errors of measurement, method development and validation, solution equilibria as applied to analysis, analysis of acids and bases, analytical electrochemistry, chemical separation, introduction to gas and liquid chromatography. Examination of various theories of atomic structure and molecular bonding, and their use to explain chemical and physical properties of atoms and molecules. Atomic wave mechanics, Lewis theory, valence bond theory, crystal field theory, symmetry and group theory, and molecular orbital theory of diatomic and polyatomic molecules and extended solids. Origin, structure and composition of Earth. Plate tectonics as the unifying mechanism for mountain building, formation of ocean basins, and assembly and break-up of continents. Minerals, rocks, Earth surface processes, geological maps, natural resources and hazards. Introduction to structure, composition, and chemical processes occurring in Earth's atmosphere including interactions with solar radiation, stratospheric ozone layer, photochemical smog, and acid rain. Overview of instrumental methods of chemical analysis, including spectroscopic methods, mass spectrometry, surface analysis, and chromatography. Application of carbonyl group chemistry, cyclisation reactions, conformational analysis, and rearrangement reactions in organic synthesis. Functional processes and reactions of our living planet. Cycles of materials and energy among the atmosphere, lithosphere, and terrestrial and aquatic ecosystems. Case studies on the degradation of ecosystem function from anthropogenic alterations of natural cycles. Origin, distribution, and cycles of elements in Earth. Low-temperature aqueous solution chemistry, fluid-rock interaction, mineral stability, isotopes. Chemical analysis of biological samples including: solid and liquid phase solvent extraction protocols, bioassay-guided fractionation, analytical method development and validation, complex separations and matrix effects, bioinformatics, metabolomics, and proteomics. Integrated laboratory course designed to illustrate principles of modern analytical chemistry. Stable and radiogenic isotopes in the lithosphere, hydrosphere, atmosphere and biosphere. Fractionation processes, dating methods. Selected topics in the use of isotopic tracers. Original research work under the direction of a faculty member. Includes a written thesis, public poster presentation, and public thesis defence. It is recommended that CHEM 449 not be taken until a student's final year of study. An advanced or specialized topic in chemistry, generally with an emphasis on recent literature. Topics will usually vary with each course offering. With different topics, the course can be taken more than once for credit. Each offering will normally be 3 credits. 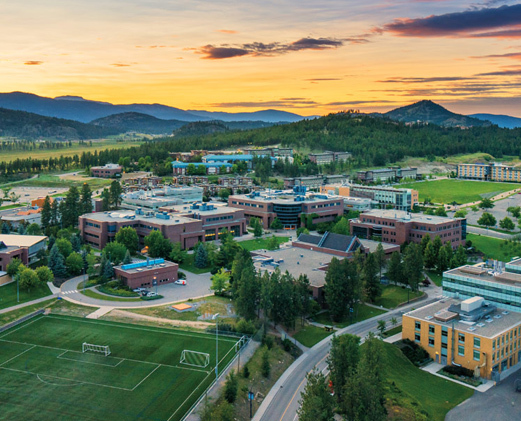 UBC's Okanagan campus is renowned for its research opportunities and access to professors. 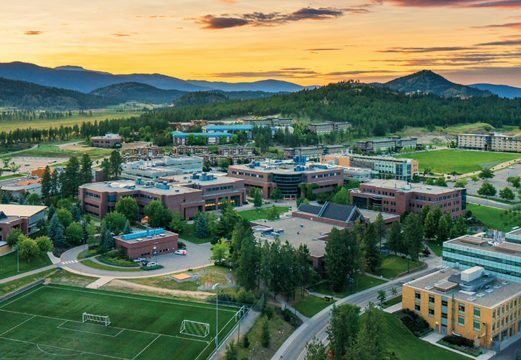 On a tight-knit campus like the Okanagan’s, you’ll be able to work closely with award-winning faculty who are making meaningful strides in areas like the Earth’s carbon cycle, global warming, recovering valuable molecules and minerals from mine waste, and discovering neurotoxins produced by lake cyanobacteria.